After statement of President Donald Trump that Washington would withdraw from the Intermediate-Range Nuclear Forces Treaty because Russia was violating the pact, Russian Foreign Minister Sergei Lavrov said on Monday that Moscow expected Washington to explain its plans to quit a landmark Cold War-era treaty that eliminated nuclear missiles from Europe. Meanwhile, French President Emmanuel Macron spoke to U.S. President Donald Trump to stress the importance of a Cold War-era Treaty. “The President of the Republic underlined the importance of this treaty, especially with regards to European security and our strategic stability,” the statement said. As I understand it, they exited it because Russia has already broken its terms on restrictions. 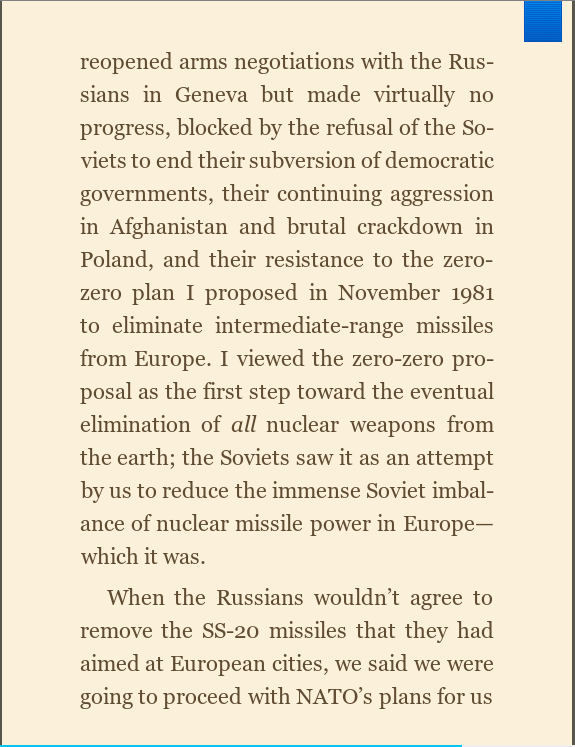 Did Russia want to grow a mid-to-long missile arsenal without any response and respect for the Nuclear Treaty? This is a dangerous step - making conflict more not less likely. Better option is a nuclear free world. The only way you will stop Putin, is to ban Russian oil and gas and Arms sales, that won't happen and it's a mission impossible. The Military Industrial Complex loves this idea. A lot! Don't be too quick to judge. 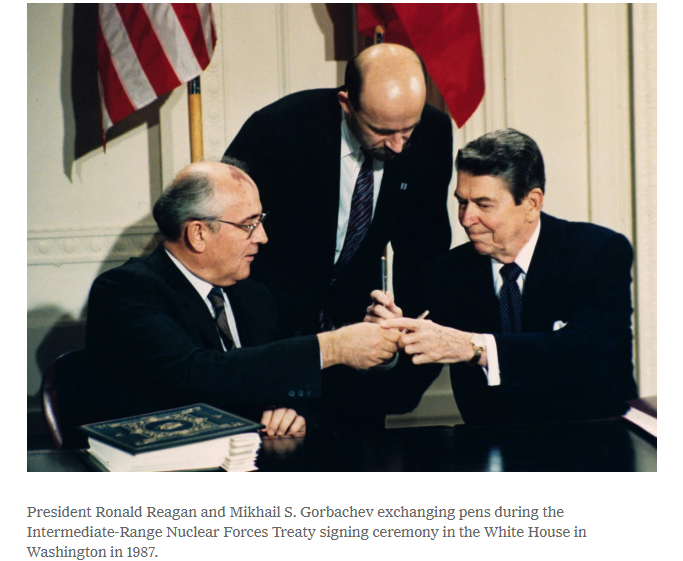 President Reagan signed these agreements with Gorbachev, not Putin. Two very different men; in fact there never was before nor has there been since another Gorbachev. Reagan threatened exactly the same thing to get to the table. Once it was signed, he said it was only good as long as "trust, but verify" was carried out. If in fact the Russians are breaking the agreement, again, Then verify has broken down and the agreements are null and void anyway. Russia understands equal or overwhelming measures; anything less they see as weakness. Reagan also instituted financial measures to cripple the USSR's financial system, including Gold reserve hoarding. At this moment the U.S. also has financial pressure on Russia. The publicly announced intentions of those financial measures may be one thing and the real reasons another. Make no mistake, Putin has been testing the waters from Asia to the U.S. to Europe to the Middle East to see how far he can go before anyone stands up to him in any significant way. The U.S. Government really has no choice. 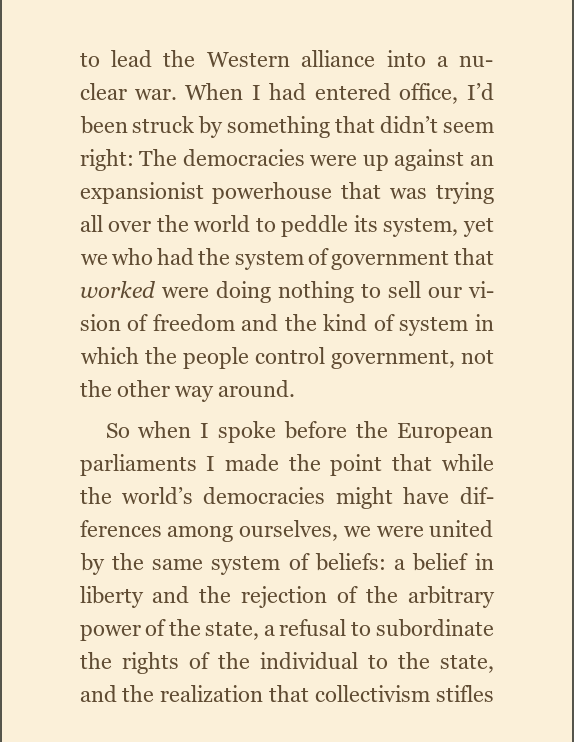 Look the reality is that both sides can STILL, with current arsenals, destroy the world many times over. This is a question of lining the border of Europe with missiles that can destroy Europe, not the U.S. The simple fact is that the only power great enough to stand up to Putin is the U.S., and Europe can act like they don't want it, but they know they need it. Of course, that is just my opinion. I could be wrong. Um, if you escalate to the use of nukes, basically you don't need the rest of the military anymore. Boom, boom, it's over. Producing another 1,000 nukes and delivery systems is a pittance of the cost of the conventional forces. I would add more but I'm worried about copyright issues (hope I haven't given too much already). Buy the book on Amazon if you want to read the entire strategy and facts about the negotiations. As the clips above show, you are right and the U.S. goal since the Reagan Era has been to get to zero nukes, however much of a pipe dream that may be. I also agree to a certain extent with your statement that ALL of NATO countries need to restrict Russia's oil and gas and arms sales, among other things. It happened once before. Let's hope folks get serious once again. I know Trump doesn't inspire people to make world changing things happen the way that Reagan, Thatcher and Gorbachev did, but he at least appears to get the fact that he needs to stand up against Russia and hope that Europe and others figure it out and do the same. Every coin has two sides, and so does every story. Have you ever watched Putin give a speech, or read the comments about the translations from those who speak Russian? Base on your comments about Putin, I would bet not. If you see Putin in the mainstream media, you will notice that his words are always edited, and the video usually cuts right before Putin gets to the most important stuff. I wondered why and started searching for the full interviews... When I found them, I realized the media always seems to edit his words to make him look like the villain. I believe the real reason Trump pulled out of the treaty has nothing to do with Russia and everything to do with China. China has the ability to manufacture these mid-range nukes, but due to that treaty, the US does not. That puts the US at a huge military disadvantage against China. In fact, it wouldn't surprise me one bit if Trump asked Putin to make it look like the Russians have intentionally violated this treaty so as to do away with it in such a way that allows both the US and Russia to save face. Once the treaty is gone, both the US and Russia will begin manufacturing these nukes at full speed, and it won't be for using against each other. Time will tell, but one t hing is certain: November is looking to be a very interesting month. Excellent points to consider, Epic. Judging from those presentations we all had a look at sometime back, the ones where China could overwhelm Western forces in the Pacific theatre with intermediate missiles, you could have a really strong point. And Russia is within intermediate range. Dan, the most eye-opening realization that those images of Reagan's biography you posted made me realize was that even back during the Reagan administration, European countries were still two-faced... "Oh please, United States, please pay money to defend us against big-bad USSR...but, oh, by the way, we are still going to keep trading with the Soviets and we are not going to help you with your sanctions because we love money more than freedom." European politicians have not changed one bit in the last 40 years! If anything, they have become worse! Pathetic. And thanks for sharing that, Dan! The same approach is what Trump is taking with Iran, and the Europeans are acting the same way there. Which part of nuclear don't you understand? 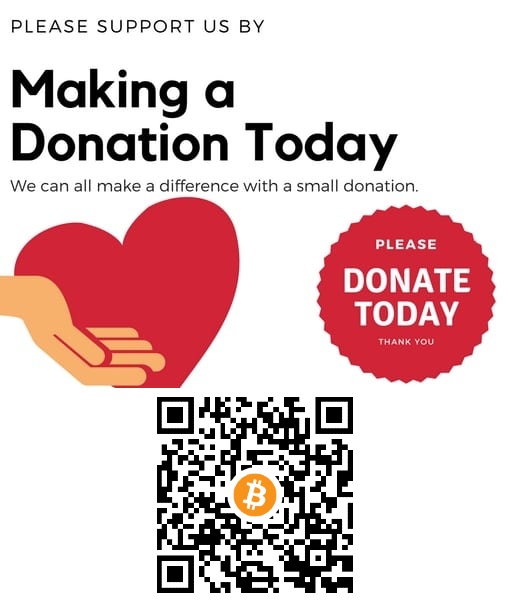 Will we accept a scaling back? NO! We can't and you can't. 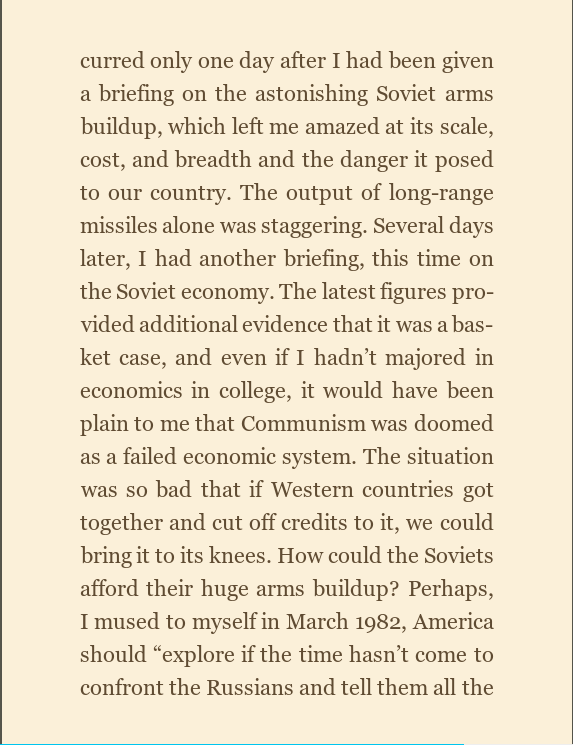 Russia is one thing and in another part of Reagan's book he tells how, in the end, he found out the Russians were just as scared of us, if not more, than we were of them launching first. That was Russia. Now, do you want Iran to have a "scaled back" NUCLEAR MISSILE(S), or none? Well? There are definitely some bad actors in Russia, but judging by Putin's words, I don't think he is one of them. On still another hand, Putin is probably THE most politically savvy politician in the world today. He was trained by, worked in and rose up through to the top of the KGB, and probably wrote a book or two for them on the manipulation of human beings. I have watched the same videos that you have and I always come away with a delighted smile from listening to and watching him in his element. He is simply a joy to watch and listen to. His answers make perfect sense and are absolutely teeming with facts. He will throw common sense and knowledge back at his questioners and dare them to make themselves the fool. This guy is smoooooth. He could slide unannounced under your front door and across the floor to the dining table and on up into a chair while you are eating dinner with your family, and you would swear he had been there all along. Smooth. That and the fact that he has complete power over Russia and all that that implies, and you have a person not to be trifled with, let alone trusted. Don't get me wrong, I want to trust and like the guy, but a man better know what he is getting into with Putin. Well, Epic, it appears that there are most likely reasons similar to what you put forward in your comment above. Good call. Western media are not correct= Putin was not an classic agent but rather low-rank intelligence analyst in KGB headquarter in Eastern Germany. As analyst his job was to examine western social systems. His turning point was when USSR authorities left him to his fate in KGB headquater in Eastern Germany in 1989 and he had to personally scattered the hostile crowd. His doctoral dissertation in 1998 was based on US monograph how to use russian commodities to strenghen russian position in the world. Apart from the fact that soviet GRU was always more professional then KGB. KGB is much better known and legendary but its GRU which has better opinion and was responsible for most succesful foreign actions. 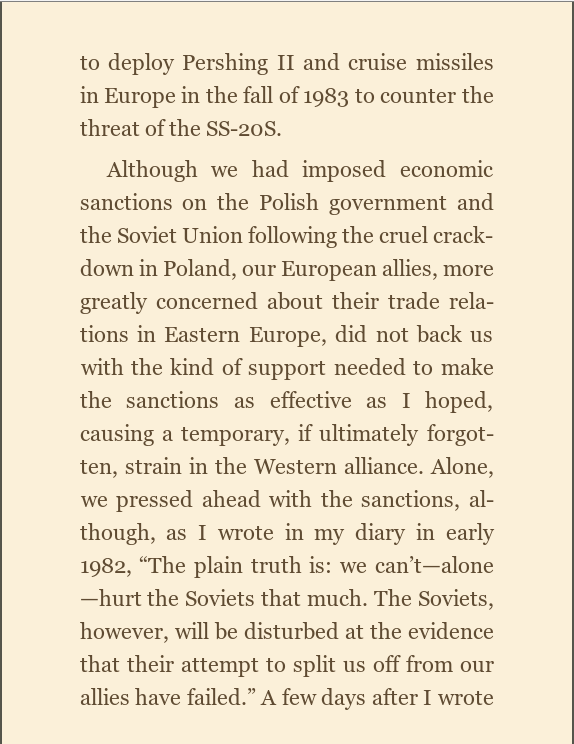 KGB was rather more interested in internal affairs and counterespionage. It likely will lead to parity in development efforts. The Russians have been awry of the agreement for quite some time working diligently while we slept. Fortunately, our defense contractors are better equipped, trained and paid. We will surpass them in due time as usual. You cant short an agreement and then get mad when the other party follows suit.